Connecting the modules to the real world was sometimes done with BNC-connectors at the module front, but mainly via the connector block on top of the modules. 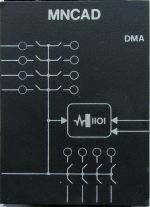 The C/D connectors of the QBus are used to connect modules, like a preamplifier and/or multiplexer as A/D converter front end. This are the boards in my Minc-11, with info from the various DEC documents, I think useful and/or interesting. 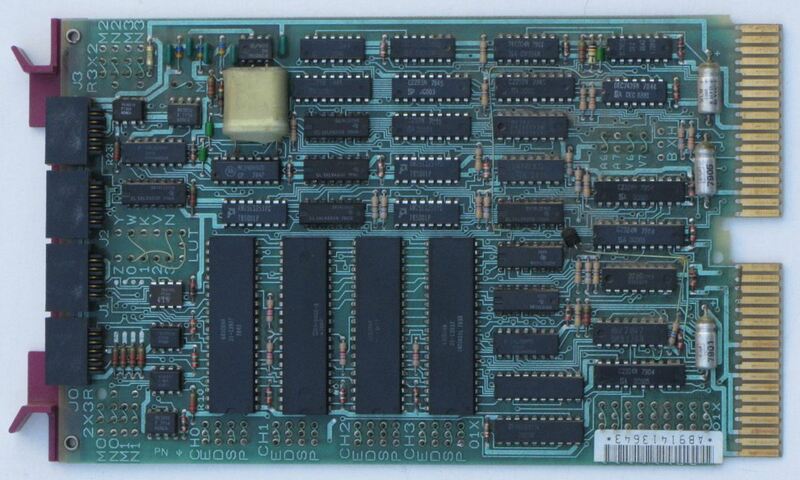 Found the I/O page at 770000 - 777777, so this is an 18-bit machine. Note this is in ODT mode, it is 177000 - 177777 when a program is executed. So ODT bypasses the MMU. M8044 DH 32 kW with Nec UPD416. 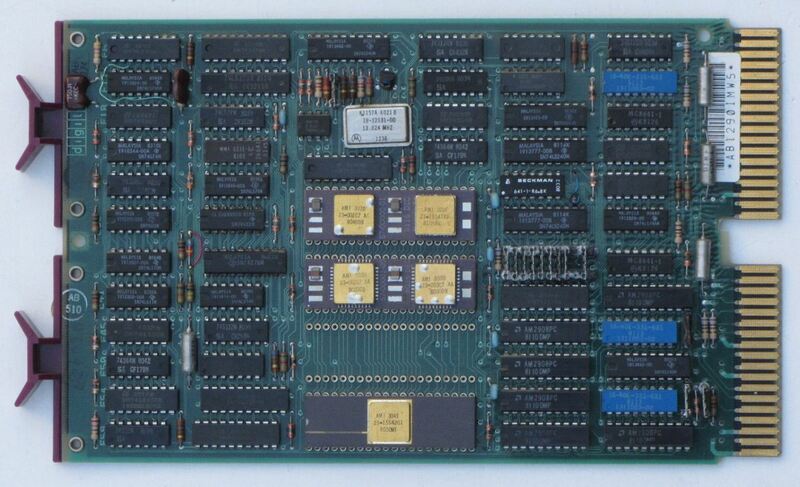 The -5V required by the RAM chips is generated on board. Dynamic RAM refresh is also local. 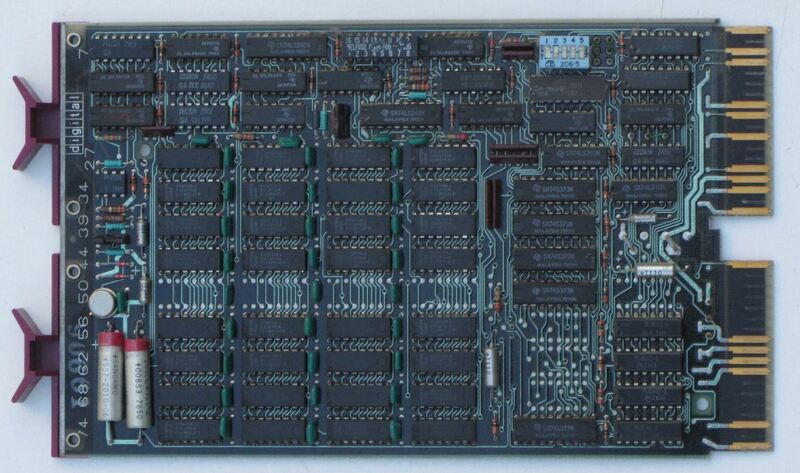 There is no parity bit on this board (MSV11-E only). M8044 DB 32 kW with Mostek MK4116. The -5V required by the RAM chips is generated on board. Dynamic RAM refresh is also local. 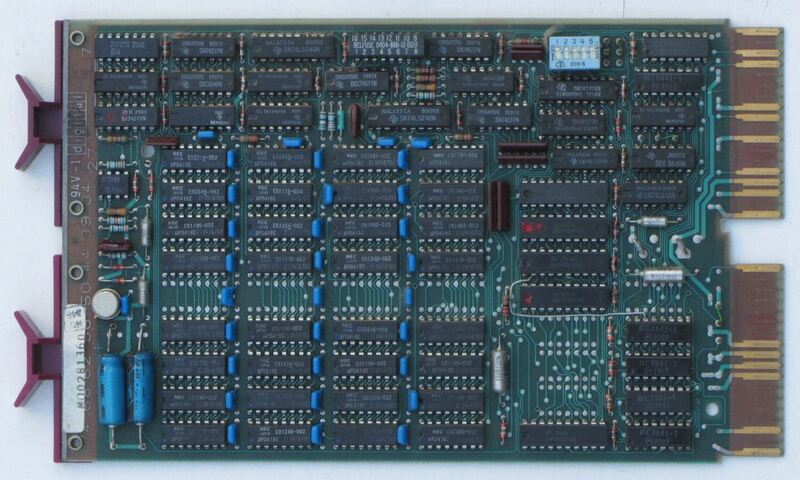 There is no parity bit on this board (MSV11-E only). Booting from an RX01 or RX02 floppy means the bootstrap loader program has to be loaded first from the REV11-A or BVD11 option. 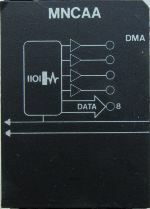 M7954 IEEE-488 interface. The IEEE-488 bus is widely used in laboratory environments, so this interface is very useful for a Minc. G7272 The LSI11 GRANT CONTINUITY shorts AM2(BIAKI) with AN2(BIAKO), and AR2(BDMGI) with AS2(BDMGO). 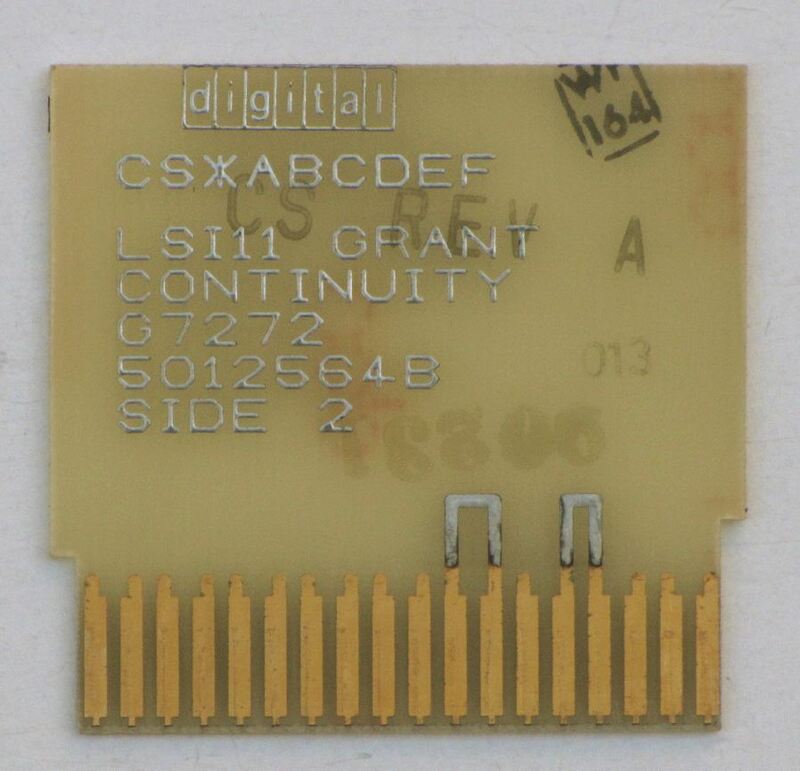 This configuration is not unique to the LSI11 GRANT CONTINUITY, all cards that do not use DMA or interrupts have these shorts. BIAKI = Interrupt acknowledge input, BIAKO = Interrupt acknowledge output. BDMGI = DMA Grant Input, BDMGO = DMA Grant Output. These connection allows unused slots between the processor and DMA and interrupt cards. 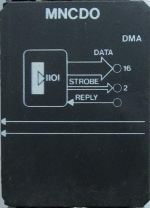 Without this board, the DMA and interrupt chain would not work. 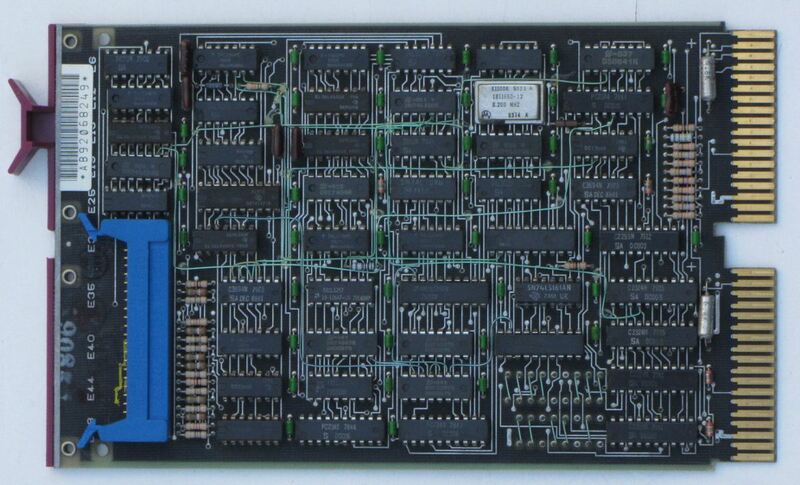 M8043 The four-channel serial interface. 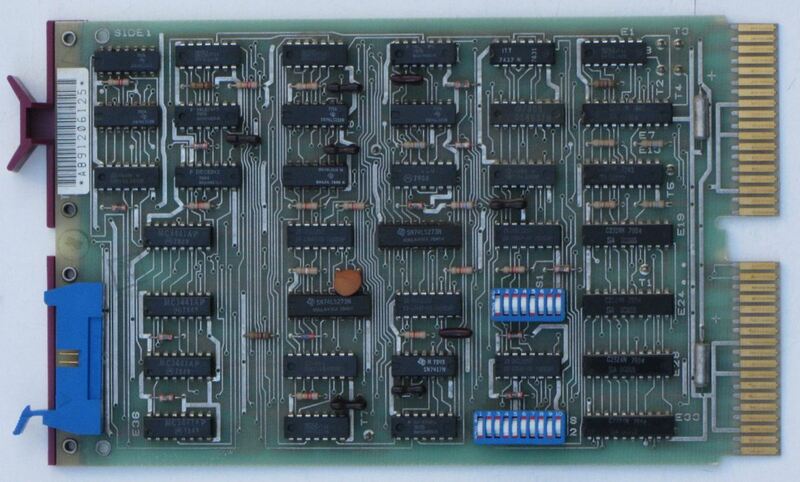 The 10 pin header on the board is connected to 9-pin DE-9 male connectors on the chassis. This ASCII art shows the connection and a cable to a standard PC serial port. M8012 The LEDs on the board might be useful during startup when there is no prompt or other feedback, but as they are operated by software only, nothing happens in the critical phase. Most useful is the green LED indicating the bus voltages ar more or less ok. There are lots of sockets and switches on the board, so how does it work? Module order The diagrams on top of the modules indicate that the MNCAD depends on a MNCKW in the slot right of it. One or more digital options in between are allowed as these pass the clock through the clock signals. 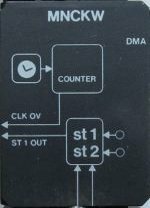 If you want another analog-digital module, you also need a second clock module. 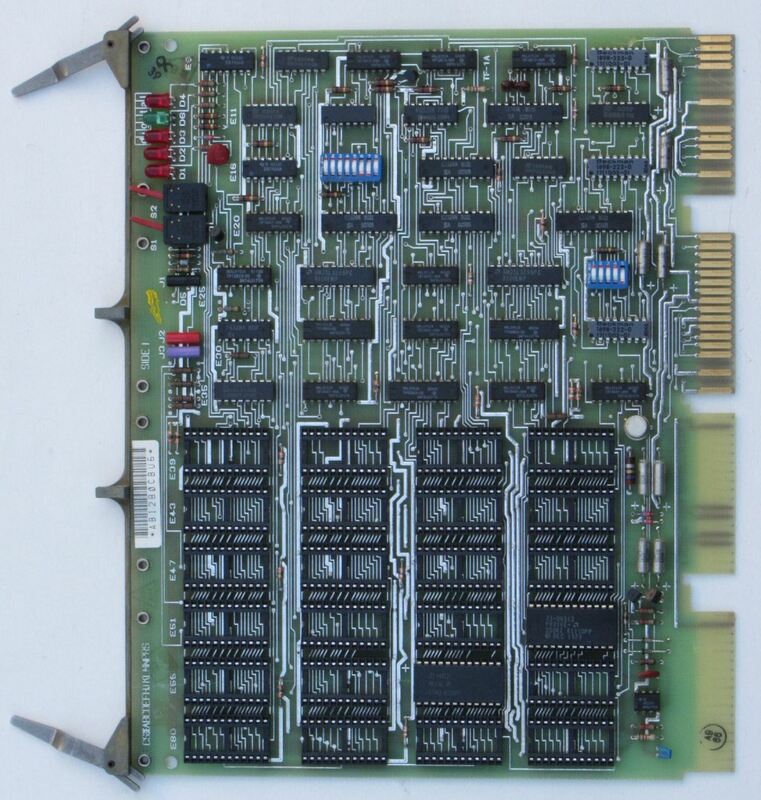 The MP01074_MDL-23_MINC_Engineering_Drawings_Jun80.pdf document at bitsavers.org contains much info on the Minc-23 system. H786 power supply, info and some testing. Simple perl based disassembler for octal boot code. Quick hack to compare two ROM files with the ODT view of the boot-ROM page. Text of the MINC brochure a scan with cool color images is found in the doc directory. Bitsavers the starting point for all serious computer documentation. 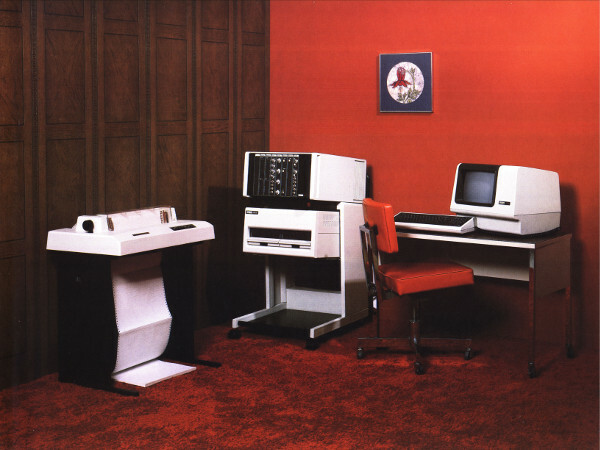 Restoring a PDP-11/03 Also info on lsx, a real mini-unix for the 11/03. Rom list. The images are in the same directory.